Look out, ‘ol Blue Eyes is back! 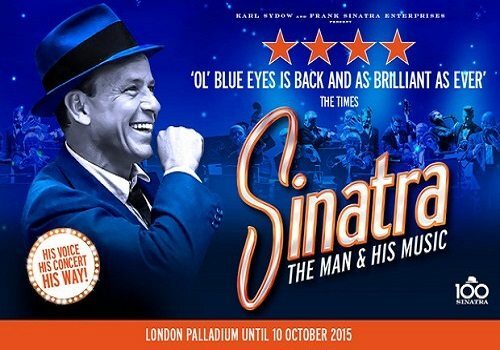 In what would have been his 100th year, the music of the iconic Frank Sinatra fills the London Palladium once more. 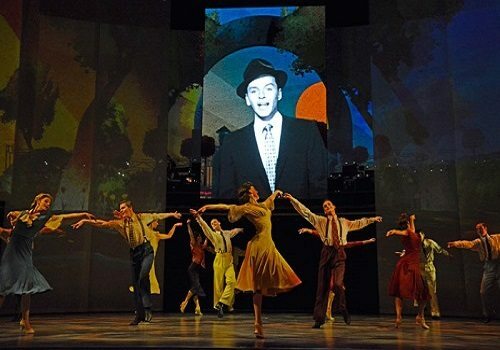 65 years since Sinatra made his UK debut on the London Palladium Stage, his sounds will fill the auditorium once again in a new multimedia extravaganza, set to the backdrop of a 24 piece orchestra and 20 dancers. Featuring never before seen footage of the man himself, audiences will be treated to an all singing all dancing tribute show. Sinatra is a family friendly show that can be enjoyed by all. It is worth noting that children under the age of 4 are not permitted within the London Palladium. Click here for the London Palladium seating chart and seat price guide.